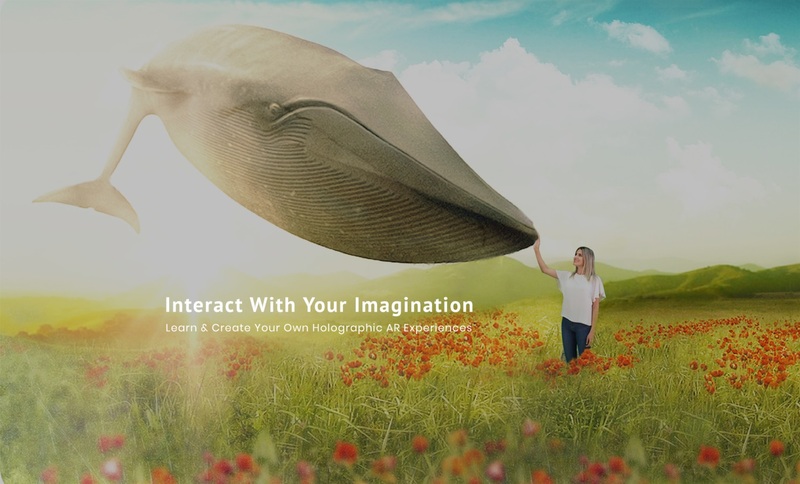 Integem, Inc. creates the Holographic AR visual programming language to enable students to learn and design their own Holographic AR applications. Holographic AR has the capability of immersing someone within a generated environment and allows them to interact with virtual objects, as well as the interface in the generated space. Holographic AR changes the perspective of how one sees themselves acting within a new world while still being in the real one and allows them to see how their actions changes the space in real-time. Holographic AR provides a multitude of various experiences. Anyone can explore all types of worlds, real or fiction, and learn new information through physical and thoughtful actions. Let’s use one Holographic AR interactive movie as example, the player gets to become a superhero and face off against one of the most powerful villains of all time: Thanos. It is revised from the Marvel Movie The Avengers 3: Infinity War. In this interactive movie, the player is sent off into the universe to face off against Thanos, a greedy villain that lacks empathy and holds no remorse for his life-endangering actions. As Thanos plots to exterminate half of all the life force in the universe, the player needs to stop him before he can advance! As the player lands on the alien planet, they are ambushed by Thanos and required to engage in a fight by punching him. On screen, players can see how their physical actions affect Thanos. When the player’s hand interacts with Thanos’ body, Thanos reacts accordingly and stumbles backwards momentarily. However, as Thanos attacks the player, they are pushed backwards, as seen on screen, with their image appearing slightly translucent. The player can continue to fight Thanos, but he proves to be much more powerful than expected, and with a final attack, the player is thrown back all the way to planet Earth! A cinematic scene, as seen from the film, alerts the player that Thanos is on Earth and becomes an even more threatening figure to everyone around. To get help, the player needs to move left or right in order to proceed towards the city. With a wave of their hand, Spiderman appears right beside them and bestows them with super powers. Walking left or right on screen transports the player to confront Thanos. This time, having super powers and help from Spiderman, the player is better equipped to take on the fight. The fight ensues again, with the player’s punches pushing back Thanos on screen, along with the help of Spiderman. Raising their hands in the air, the player unleashes their ultimate superhero and defeats Thanos. 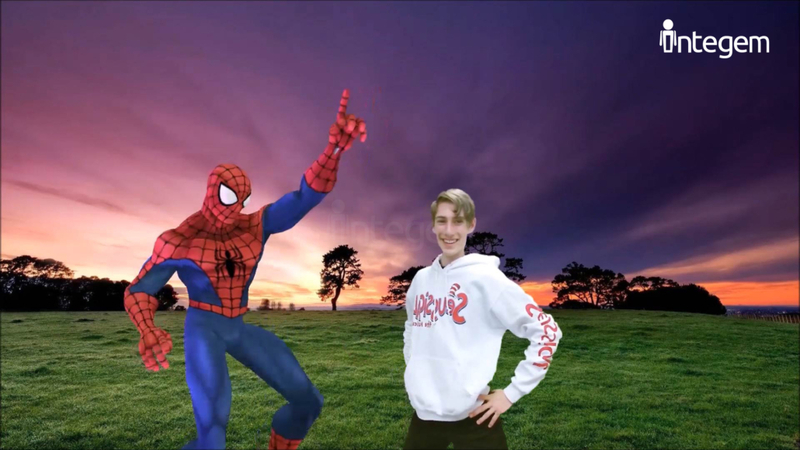 With the villain stopped and the day saved, the player finally celebrates by dancing alongside Spiderman. In this Holographic AR experience, players essentially become superheros and use their powers for good to vanquish evil. This is the same narrative reflected upon real-life situations of bullying, where a bully threatens the peace of one person or everyone around. A superhero’s power does not necessarily have to be dreamlike, like flying or super speed. The power always comes down to the self-confidence in the hero and the belief of serving justice and helping all around. This application enables players to believe in their own strengths and stand up for what is right. For a young child being bullied, seeing themselves on screen alongside Spiderman and fighting Thanos helps them believe in their confidence again. Witnessing their actions within the digital interface not only brings their imagination to life, it can make them forget all the troubles bullying has caused. It assists them to feel strength again and reminds them that they are important regardless of what is happening to them. This Holographic AR experience also teaches a very important lesson in unity and teamwork, as everyone holds the power to do what is right when confronted in this type of scenario. This is specifically pointed towards bystanders of bullying. When witnessing someone else being victimized, doing nothing to stop the situation only enables the bully to continue. Standing together in unison sends a message of anti-bullying, lessons that teach children to call for help from an adult. Spiderman came to the player’s defense when they could not defeat Thanos, and with his help, the two were able to save the day. This examples gives a clear answer for any onlooker that does not know what to do when witnessing bullying happening: a call for help. Engaging in this type of Holographic AR experience teaches players, specifically those that are young kids, about the importance of self-confidence and caring for others. Bullying affects everyone. 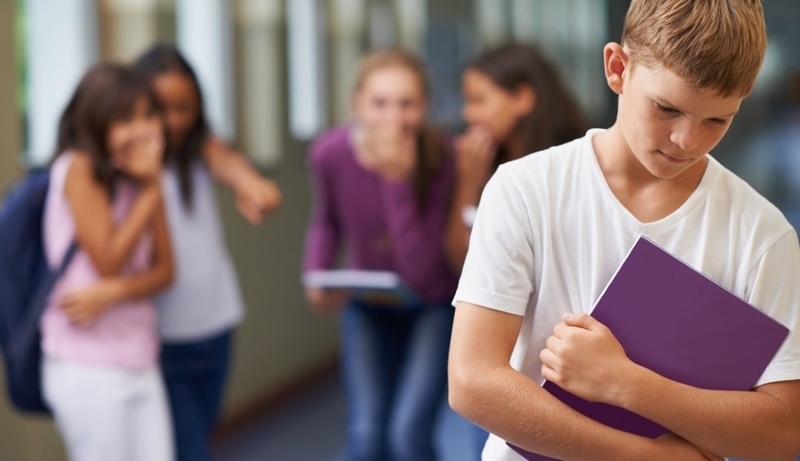 By showing empathy in victims of bullying, more and more kids will stand up to teasing, taunts, and harassment, and this show of intolerance will only lessen the amount of bullying seen in schools today. Students will get the chance to create experiences like this interactive movie, where they can build a world that gives them any power imaginable and captivate other players to see their own strengths. Holographic AR teaches kids of being bullied that they may get bullied, but they can standup, get help and win over bully. Furthermore, it helps children to learn to get help and help each another in a time of need and to become their very own superhero. Holographic AR Help Kids Learn "Love"